If you have been diagnosed with Obstructive Sleep Apnea and use your CPAP, but do not have a current prescription, you can renew your CPAP prescription from one of our licensed physicians in less than 2 business days! Click here for a detailed overview of the CPAP Prescription Program. This program is ideal for patients who have used CPAP therapy in the past and are away from home, urgently needs supplies, or are in the middle of changing doctors. This product is a prescription only. CPAP machines and supplies are sold separately. The Easy Breathe CPAP Prescription Package allows you to get a new CPAP prescription from one of our licensed physicians in less than 2 business days. It doesn't matter if you're away from home, in between physicians, or don't have time for an office visit, we can help you go from a patient without a prescription to one with a prescription. This prescription will allow you to purchase any CPAP mask, CPAP machine*, or CPAP supplies you want! No Prescription = 100% Refund! 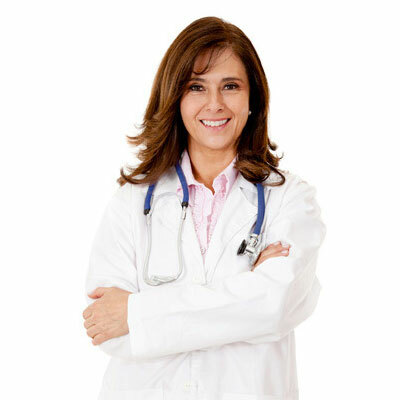 If, for any reason, the physician can't sign a prescription, we will give you a 100% refund. The CPAP Prescription Package is acceptable for all Non-Insurance orders. We honor the CPAP Prescription Package for all Non-Insurance orders. However, we are unable to submit insurance claims if the only proof of medical necessity is the CPAPRX Prescription Package. Insurance carriers have a myriad of requirements for proving medical necessity. Frequently, this list of requirements includes a face-to-face examination by a physician. If you would like to order from EasyBreathe.com and use your insurance benefits, click here to have an EasyBreathe.com representative check your insurance benefits and contact your doctor for a new prescription. The Prescription Package is the ONLY way to go. I've been through the doctor referral, hospital sleep study, cpap setting study and study after study just to essentially get an air machine with a computer fan and silence baffling. Don't mistake my over-simplification of the machine. Of course it's more than that, but like everything else the government does,it's way over-done and over-complicated. Received prescription quickly and was able to place order soon after. Getting the CPAP through Easybreathe was simple straight forward and hassle free. I really enjoy dealing with this group. Also the prices are much cheaper for the same quality. Will continue to deal with Easybreathe. Thank you for providing this service. EASIEST CPAP PRESCRIPTION RENEWAL EVER!! Bought CPAP for Florida condo. Easiest process which included the prescription. Prescription package saved me from another horror show stay at the sleep clinic. Got my ResMed Auto Sense 10 and mask promptly and it's working extremely well. Very convenient and got exactly what I needed. It was way easier than dealing with all the BS from my insurance company and med supplier. I think getting supplies online is cheaper than my copay, coinsurance, and deductible. The nice thing would be if I could get a hard copy of my script for travel (you never know how nitpicky TSA will be). Send an email to [email protected] and we can email you a copy to print or mail you a hard copy. Thanks for your feedback!